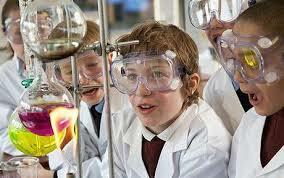 On Friday we are happy to be welcoming a "Scientist in the School" to our Junior classrooms Grades 4, 5, and 6. To get into the spirit we are encouraging our students to dress as scientists! Bring out your lab coats, test tubes or anything else that represents your love for science. Be creative! Thank you for those who have already submitted your fee for this enhancement program. Grades 1-3 will have the opportunity to enjoy this program in April. Stay tuned for more information coming soon. Scientists in School is a leading Canadian educational program dedicated to sparking children's interest in and love of science, technology, and the environment through hands-on discovery. SiS workshops enrich our science curriculum and are fast-paced, engaging and fun! Students will conduct experiments and engage in other hands-on activities. This Scientist in the School program works with our teachers and brings all the equipment and activities to supplement the work already being done in their classrooms to enhance our Science Curriculum. Grade 4- Sound Discover the science of sound as musical maestros. Our students will explore sound waves and discover how the human ear detects sounds. Join us on a journey around the human body to explore its complexities. Our students will identify human bones using X-rays and use a stethoscope to measure your heart rate. Travel around the circulatory system to explore how the organs work together. Step into the physics lab and build a human battery. Our students will explore the nature of electricity, its generation and use. Ask your kids how they liked being Scientists today!